Once again it's time for the weekly off-season league updates. Check it out, as we take a tour around the globe for a look at Phillies talents participating in various autumn and winter action. Statistics are current, through action played on Saturday. 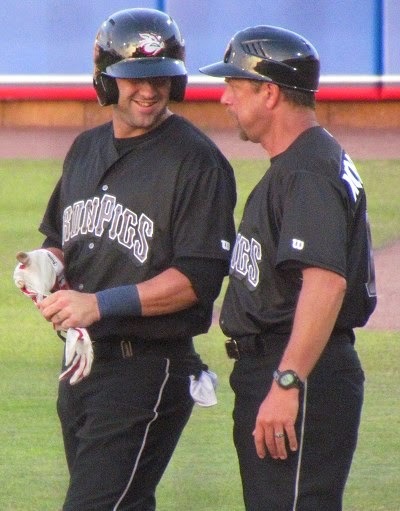 Freddy Galvis (pictured, left) has a .315 average with four doubles, one triple and three homers while driving in nine runs in 24 contests for Zulia. Despite recent reports that Galvis, who turns 23-years-old this week, could be a possible solution to the Phillies' vacancy problem at third base, the switch-hitter has played shortstop exclusively in the Venezuelan League. Tyson Gillies returned to action on Saturday, after sitting out due to undisclosed reasons over the past two weeks. The outfielder, who has dealt with a steady string of injuries since he was acquired from Seattle in 2009, missed nine days earlier in the Venezuelan League season with a hamstring issue. In eight games for Lara, the 24-year-old Gillies is batting .367 with two doubles, a triple and three RBI. Darin Ruf, playing mostly left field lately after mixing in some first base and designated hitter in the early going, is batting .244 with nine home runs and 24 RBI in 25 games for La Guaira. Ruf is not expected to play for the entire Venezuelan League season, which runs through December 30th, but he should continue action into December. Relief pitcher Justin Friend is 3-1 with a 1.25 ERA and a .182 batting average against in 15 relief outings for La Guaira. 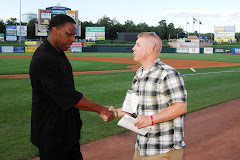 During the 2012 regular season, the righty sported a combined 4-1 record with 25 saves and a 1.33 ERA with Double-A Reading and Triple-A Lehigh Valley. Michael Cisco has a 2-1 record with a 4.40 ERA in nine outings (one start) for La Guaira. 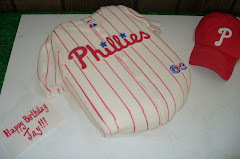 The 25-year-old was a 35th round draft pick by the Phillies in 2008. Also with La Guaira, J.C. Ramirez has a 1-0 record, a 10.80 ERA and a .400 batting average against in five relief outings. The 25-year-old tallied a 3-4 record with a 4.01 ERA in 45 combined relief appearances at Double-A and Triple-A this year. 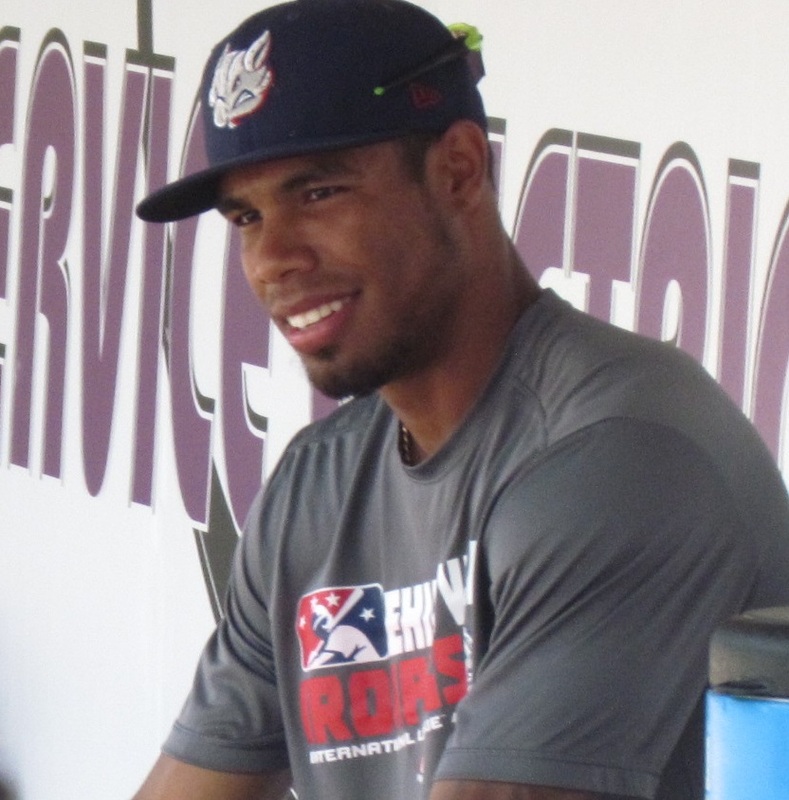 Second baseman Cesar Hernandez has posted a .214 batting average with two doubles, a triple and a home run while driving in two runs in 7 games for Margarita. The switch-hitting 22-year-old was an All-Star in the Double-A Eastern League before earning a promotion to Triple-A in 2012. Edgar Duran has a .320 average with three doubles, a homer and eight RBI in 18 games for Margarita. 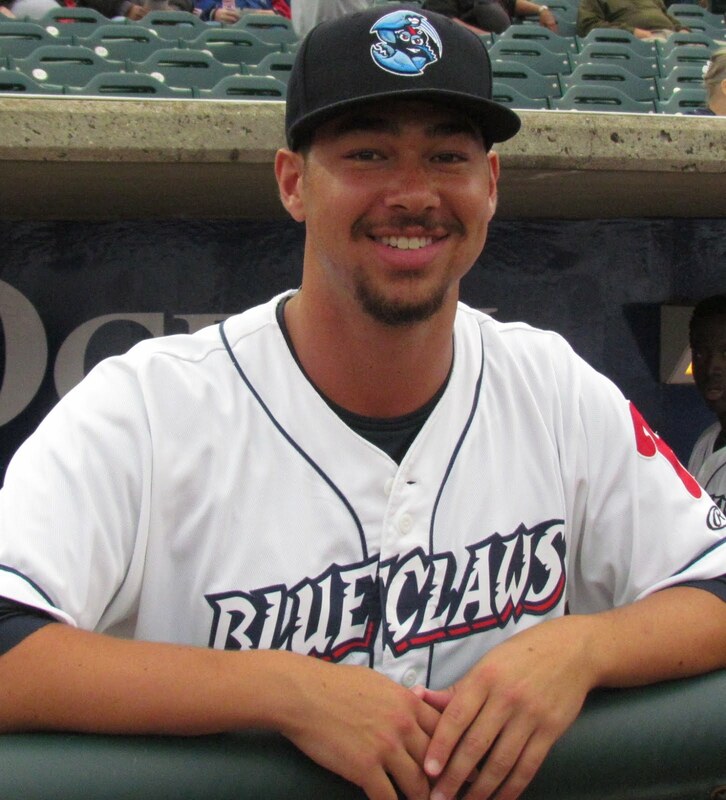 The 21-year-old shortstop spent the 2012 regular season with Class A Advanced Clearwater, posting a .253 average with seven homers and 49 RBI in 121 games. Right-handed hurler Manaure Martinez has a 1-1 record with a 3.68 ERA while walking four and striking out four in six relief outings for Aragua. 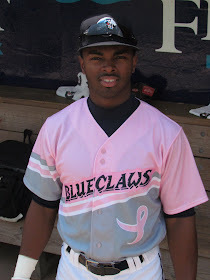 The 20-year-old spent time during the 2012 regular season with the Gulf Coast League Phillies and the short-season Williamsport Crosscutters. First baseman Cody Overbeck made his Venezuelan League debut last week and is 2-for-11 (.182 avg) in three games with Aragua thus far. 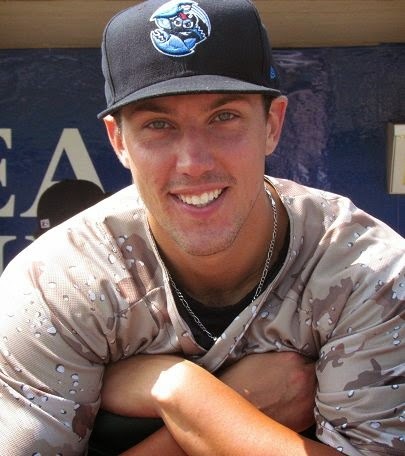 The 26-year-old Overbeck, who was the Phils' 9th round draft pick in 2008, posted a .716 OPS in 133 games with Triple-A Lehigh Valley this year. Lefty pitcher Yoel Mecias has appeared in one game, recording a scoreless 1/3 of an inning for Aragua. 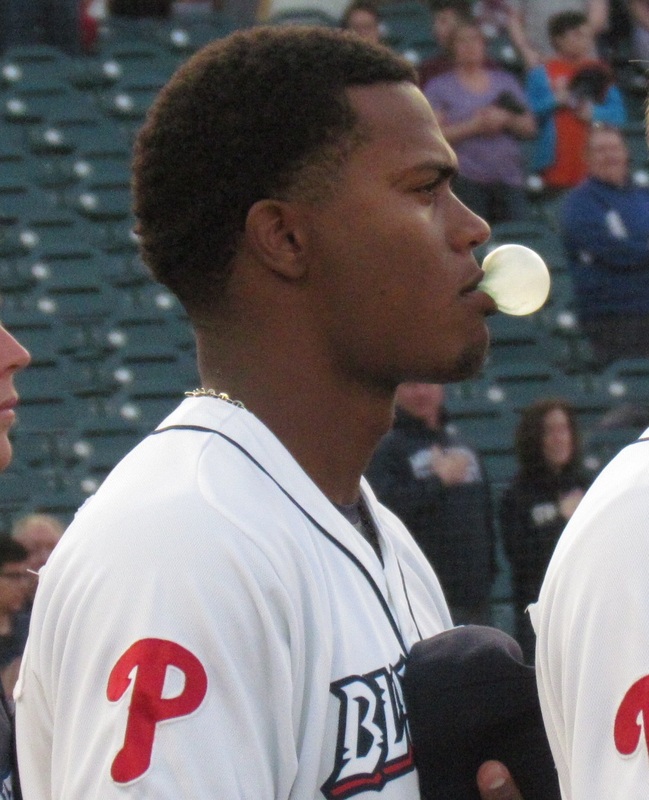 The 20-year-old was signed by the Phillies in December 2010 and made his pro debut with the Gulf Coast League Phillies (0-2, 2.16 ERA in 14 games) this year. 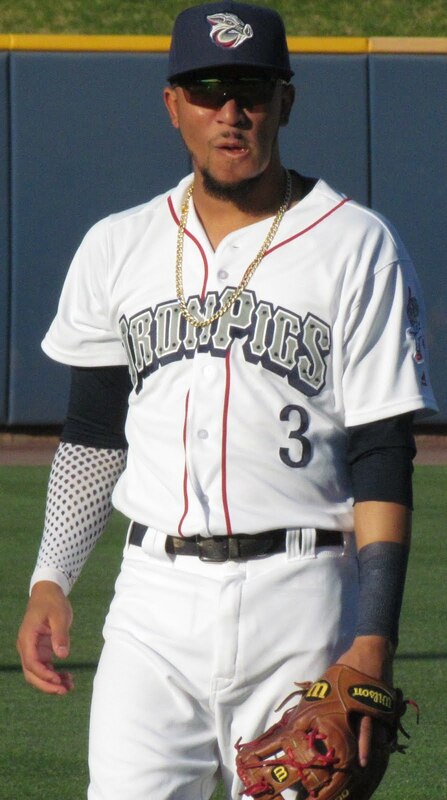 Infielder Andres Blanco, who played in 120 games for Triple-A Lehigh Valley this year, is batting .167 with a double, a triple and four RBI in 19 games for Magallanes. 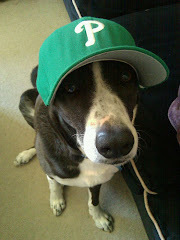 Blanco, 28, was recently re-signed by the Phillies. 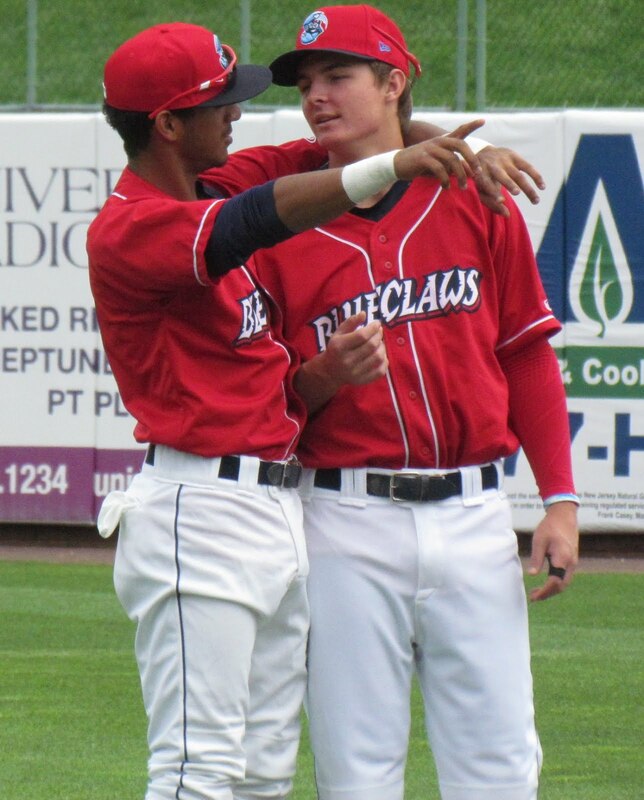 Right-hander Lisalverto Bonilla (pictured, right) has a 0-2 record with one save and an 8.53 ERA in seven relief outings for Escogido thus far. The 22-year-old posted a 1.55 ERA in 31 combined games with Clearwater and Reading during the 2012 regular season, but injured himself while horsing around at the MLB All-Star Futures Game festivities in July, then missed the remainder of the regular season. Outfielder Leandro Castro has a .188 average with no extra base hits and an RBI in 12 games for Oriente. 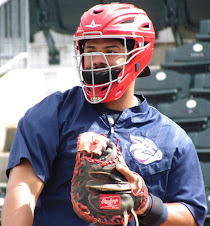 The right-handed hitting Castro, 23, batted .287 with 10 homers and 71 RBI in 133 games and was an All-Star for Reading in the Double-A Eastern League this year. Infielder Michael Martinez is 1-for-11 (.091 avg) in three games for Oriente. Martinez has played in 133 total games for the big league Phillies in the past two seasons. Third baseman Maikel Franco has appeared in one game for Cibao, striking out in his only at bat. The 20-year-old slugger batted .280 while slugging 14 home runs and driving in 84 runs with Class A Lakewood during the 2012 regular season. Hector Neris has not been scored upon in three relief outings for Este. The 23-year-old righty posted a 4-2 record with a 3.55 ERA in 50 games for High-A Clearwater this year. Also with Este, lefty Raul Valdes, who had a 2.90 ERA in 27 games with the Phillies this year, has allowed two earned runs in six innings pitched (3.00 ERA). Valdes will turn 35-years-old later this month. Juan Morillo has no decisions and a 3.86 ERA while striking out six and walking three through four outings for Escogido. The right-hander, originally signed as a minor league free agent in May 2011, was reportedly re-signed by the Phillies in recent days. Juan Sosa allowed three earned runs in an inning of work thus far for Licey. The 23-year-old right-hander had a 5-7 record with four saves and a 4.26 ERA in 46 games (five starts) for Clearwater this year. Catcher Sebastian Valle is batting .235 with two doubles and two home runs while driving in seven runs in ten games for Los Mochis. 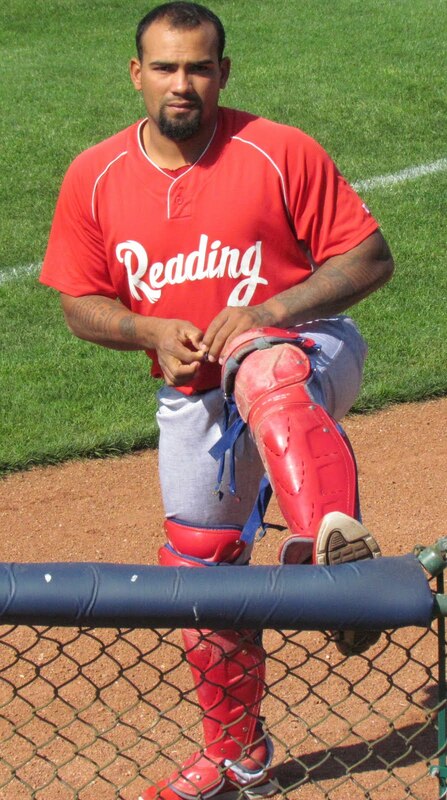 Valle, 22, was the Phillies' top ranked positional prospect by many outlets, headed into the 2012 season. Infielder Carlos Alonso is officially 0-for-11 through three games for the Brisbane Bandits. The team, however, points out that a questionable scoring decision in Saturday's contest against Sydney could have easily been recorded as a suicide squeeze which would have credited Alonso, a University of Delaware product, with a sacrifice (not an at bat) and an RBI, instead of reaching on an error. Alonso was the Phils' 32nd round draft choice in 2010. 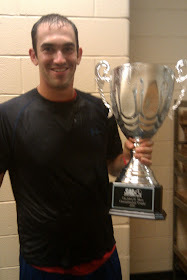 Tim Kennelly is 3-for-10 with a double and two RBI as a hitter for the two-time defending champion Perth Heat. On the mound, Kennelly has tossed one inning, during which he walked two, allowed an unearned run and struck out the side. Liam Bedford is 0-for-5 in three games as a member of the Melbourne Aces. The 19-year-old catcher batted .130 with no extra base hits and four RBI in 19 games for the Gulf Coast League Phillies in 2012. 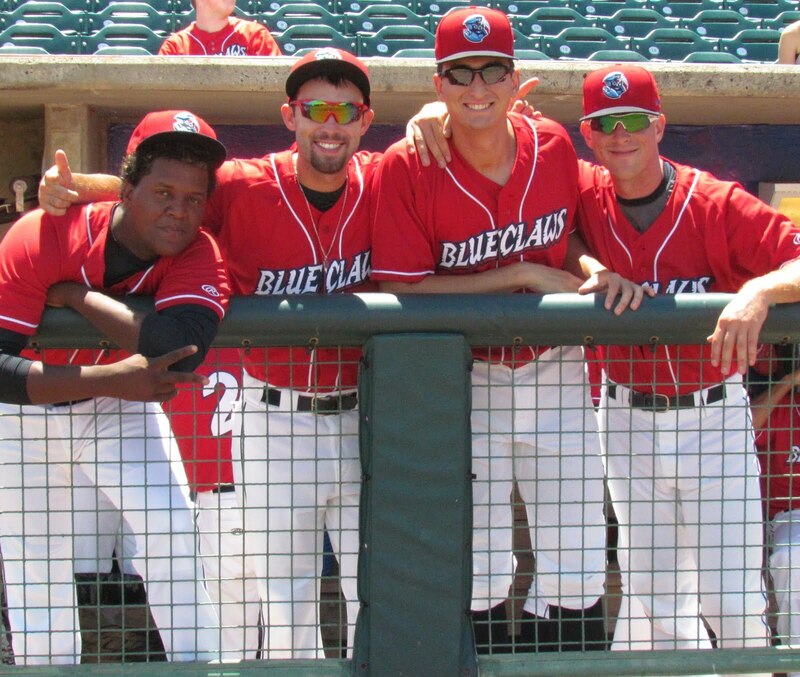 Right-hander Julio Rodriguez (pictured, left) picked up a win with two scoreless innings of work for Carolina in the second game of their season this past week. 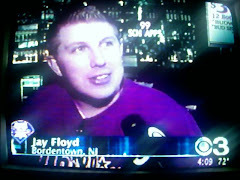 Moved from Reading's starting rotation to the bullpen in August, the 22-year-old sported a 4.40 ERA in seven relief efforts during the 2012 regular season. Tommy Joseph is batting .178 with a double and four RBI through 13 games. The 21-year-old Joseph was acquired from San Francisco in the Hunter Pence trade this year. Third baseman Cody Asche is batting .280 with 10 doubles, a home run and 11 RBI in 21 games. Asche, 22, was the Phillies' 4th round draft pick in 2011 out of the University of Nebraska. Outfielder Zach Collier is batting .339 with four doubles, three triples and eight RBI while stealing three bases in 17 games. 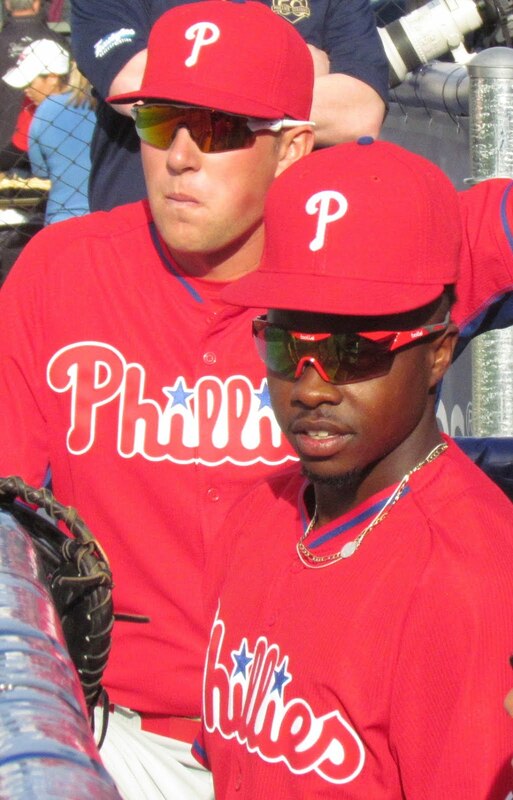 Collier, 22, was the Phils' supplementary round draft pick (34th overall) in 2008. 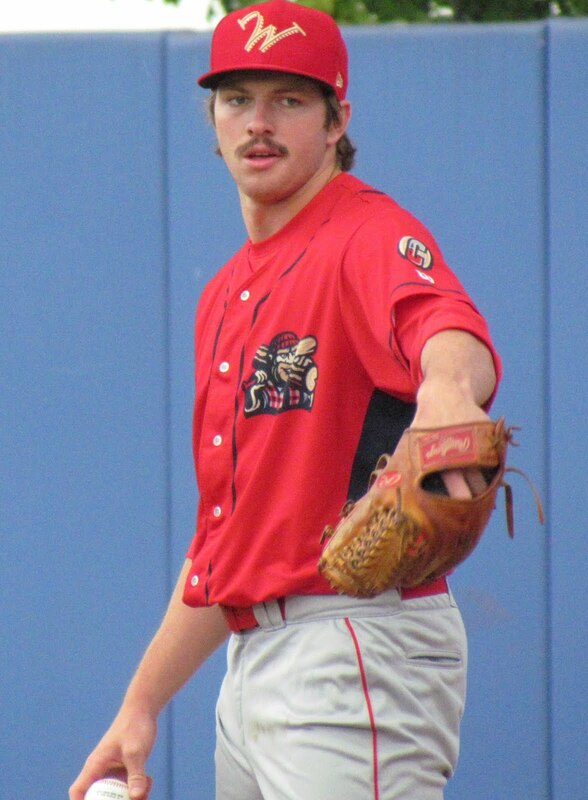 Righty reliever Tyler Knigge has a 1-1 record and a 9.00 ERA through nine contests. 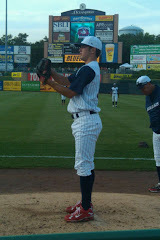 Knigge, the Phils' 12th round draft choice in 2010, has struck out nine while walking five in ten innings pitched. Colby Shreve, a right-hander, is 0-1 with a 4.50 ERA in nine relief outings. Shreve has struck out six and walked five batters in 10 innings pitched. 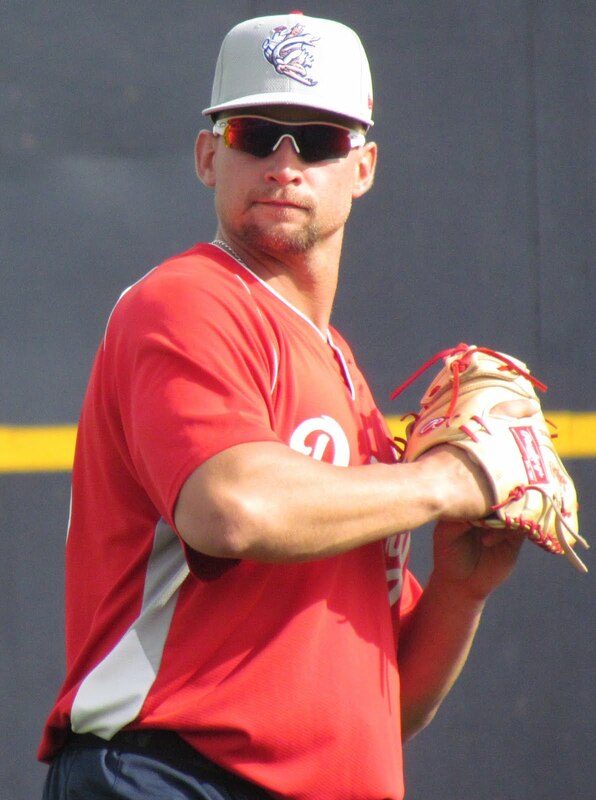 Shreve was the Phillies' 6th round draft selection in 2008. In five starts, righty hurler Kyle Simon has a 2-2 record with a 9.00 ERA and a .382 batting average against. 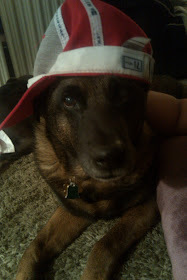 Simon, 22, was acquired from Baltimore in the Jim Thome trade, back in June. Lefty Jay Johnson has no decisions and a 9.82 ERA in 10 relief outings. The 22-year-old Canadian spent some time on the disabled list this year with a shoulder ailment, but posted a 2-1 record with a 4.24 ERA in 33 combined contests at three levels. Check back throughout the off-season for player updates and exclusive interviews.